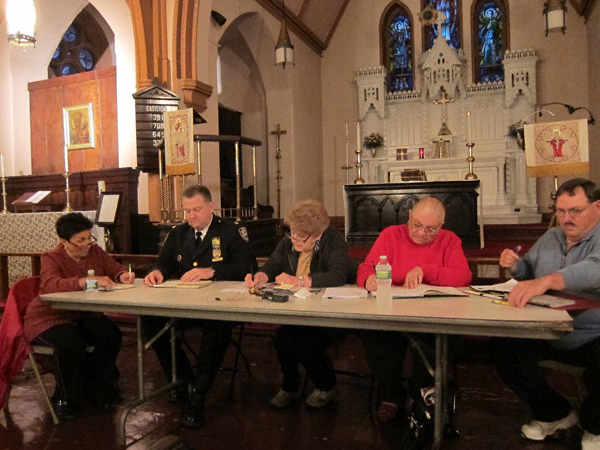 There seems to be some confusion about exactly when this month’s 94th Community Council meeting is slated to happen. This is understandable given they announced at the last meeting it was going to be changed and, well, after “summer break” one tends to forget. I know I did, so I asked the head honcho of the 94th himself, Deputy Inspector Terence Hurson, to set the record straight. Without further ado here is the amended date for this month’s meeting (Thanks Mr. Hurson)! Tuesday, September 20, 2011 starting at 7:30 p.m. P.S. : I will be posting an updated calendar for the remainder of the year for those of you who are interested. Please someone make an announcement at this meeting that there is a Rally Against the current proposed Greenpoint Homeless Shelter (the current proposal which does not allow for local residents) on the steps of City Hall Wednesday at 11 am.